Blood pressure plays an important part in the management of diabetes. High blood pressure (hypertension) adds to the workload of the heart, arteries and kidneys. Damage to kidneys, eyes and feet are long-term complications that can go along with a diagnosis of diabetes, but patients need to be aware of other health risks, including heart disease and strokes. Every visit to the doctor should include a blood pressure reading. Keeping track of blood pressure is important because people who have diabetes tend to have more trouble with high blood pressure than people who don't have the disease. Having both diabetes and high blood pressure can pack a damaging one-two punch as far as increasing the risk of heart disease, stroke, and eye, kidney and nerve complications. High blood pressure is known as the "silent killer". Usually the only way to find out if you have it is to have your blood pressure taken regularly. If your doctor can catch high blood pressure early, then he or she can start you on a program to keep your blood pressure in a healthy range. Normal blood pressure is 120/80. Early signs of high blood pressure fall between 120/80 and 140/90. Over 140/90 signals high blood pressure. If you discover that your blood pressure is creeping up, your doctor should recommend lifestyle changes that you can make that will help keep it lower. Your doctor also might want to put you on blood pressure medicine to ensure that your blood pressure doesn't rise too high. You and your doctor need to be extra vigilant about keeping your blood pressure at a normal range, because when someone has diabetes, there is an increased risk of serious complications associated with high blood pressure. That's why watching lifestyle changes such as eating less fatty food, losing weight and getting enough exercise are such an important part of keeping blood pressure in a normal range. Kidney damage - When high blood pressure stays high, it can damage the small filtering vessels of the kidney. Diabetes also can damage kidneys, so when combined with high blood pressure, it can become even more serious. Heart disease and stroke - People diagnosed with diabetes have double the risk of developing heart disease or having a stroke. Diabetes increases the risk of atherosclerosis, which is the build-up of sticky plaque in the blood vessels. Diuretics - eliminate excess water and salt from the body, through urination. This helps relieve the pressure on blood vessels. ACE Inhibitors: ACE stands for angiotensin-converting enzyme, a type of protein that can can cause blood vessels to tighten. An ACE inhibitor drug stops the enzyme from being released in your body, which helps blood vessels relax. ACE inhibitors have been shown to decrease the risk of kidney damage as well as lower blood pressure, making them a good choice for people with diabetes or other kidney diseases. ARB's: Angiotensin receptor blockers work on blocking the same artery constricting substance that ACE inhibitors do. Although they work in a different way, they still offer similar kidney protection as the ACE's. Beta Blockers: These help your heart by lowering the workload and helping it relax. Your heart doesn't have to work so hard to get the job done. Beta blockers are helpful for preventing heart attack and stroke. Calcium Channel Blockers: These also relax the workload on the heart and blood vessels. 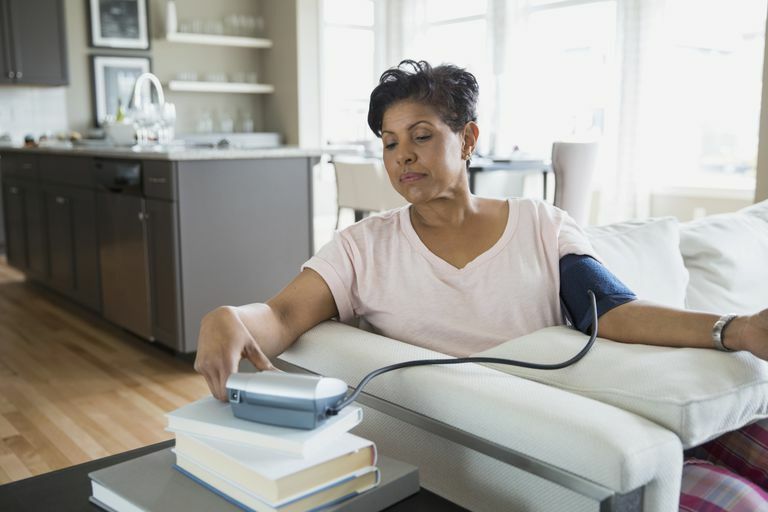 Blood pressure can be controlled by working with your healthcare provider, making lifestyle changes and taking prescribed blood pressure medications if needed. All of this can go a long way towards helping you live a longer, stronger and healthier life. "Diabetes and Cardiovascular (Heart) Disease." American Diabetes Association. ADA. 19 Feb 2016. Should You Be Eating Kale If You Have Diabetes?